The developed world is mired in a cataclysmic epidemic of chronic lifestyle illness. Heart disease, type 2 diabetes, high blood pressure, depression and dementia — the current leading causes of death and disability — are modern day plagues, killing untold millions annually. Quite shockingly, a full one-half of all American adults currently suffer from one of these diseases, with one in four suffering from two or more. Nonetheless, confusion persists when it comes to what can be done to protect ourselves and ultimately lead the long healthy lives we deserve. Most commonly overlooked in this discussion is the incredible power of our daily diet and lifestyle choices. Choices that when made right can prevent, treat and often even reverse these and many other debilitating chronic ailments. 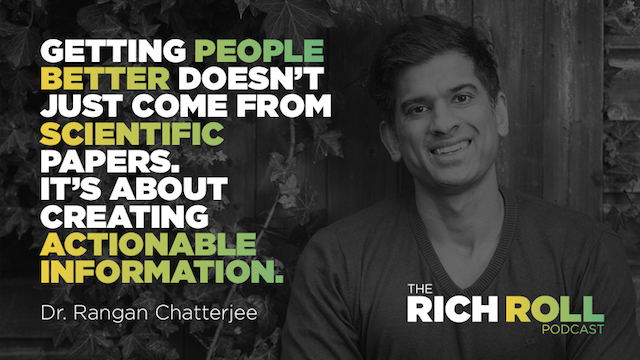 Today I explore this terrain — a common, recurring theme of this podcast — with Dr. Rangan Chatterjee, a pioneer in the field of progressive medicine. Regarded as one of the most influential doctors in the UK, Dr. Chatterjee is double board certified in internal medicine and family medicine and holds an honors degree in immunology. An in-demand lecturer, he created the very first “Prescribing Lifestyle Medicine” course accredited by the Royal College of General Practitioners in London, and is the star of the BBC One television show, Doctor In The House where he uses a functional and lifestyle medicine approach to reverse chronic disease. 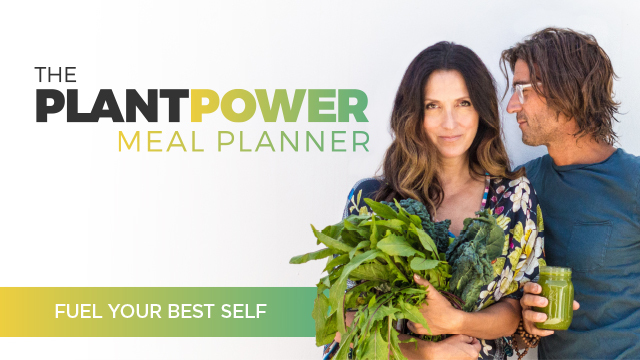 Dr. Chatterjee is also the author of The Four Pillar Plan, an instant UK Sunday Times best-seller recently released in the United States under the title How To Make Disease Disappear. He has been extensively profiled in a litany of major media outlets. He hosts the popular Feel Better, Live More podcast (which I will be appearing on soon). And he is a regular contributor to BBC Radio and the HuffPost. Similar to my recent conversation with Dr. Frank Lipman, this is a conversation about the current state of health and lifestyle disease in the modern, developed world. It’s about Dr. Chatterjee’s personal course correct — the motivational why behind his decision to segue from a traditional medical practice to the emerging world of functional medicine. And it’s a primer on the crucial role of diet, nutrition, movement, sleep and stress reduction when it comes to health, longevity and disease prevention. As an interesting aside, Rangan is also quite the musician. He even once took a career sabbatical to tour with his band. I was able to talk him into an impromptu performance at the end of the show. So be sure to stick around to the end for his acoustic rendition of The Eagles’ Take It Easy – it’s pretty great. Mountain Rose Herbs: is a grower, processor, distributor, and retailer of organic herbs, spices, teas, and other sustainably grown and harvested ingredients. We focus on the environmental and social impact of every business decision we make. Go to Mountainroseherbs.com and enter coupon code ‘RICHROLL’ in the cart during checkout and receive 10% off through July 31, 2018.